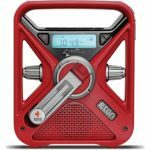 Thank you for contributing to WUFT 89.1/90.1! In return for your generous gift, we have a number of thank you gifts available for you. Donations to WUFT are tax deductible less the fair market value (FMV) of any thank you gift selected. Please allow 3-4 weeks shipping for your thank you gift to arrive. Tickets will be placed at will call on the night of the event unless otherwise noted. All donations of $60/$5 per month ongoing or more are eligible for the WUFT Passport video streaming service. Activation codes will be sent via email within 2 weeks of your donation. All donations of $84/$7 per month ongoing or more are also eligible for Public Media Member Perks. 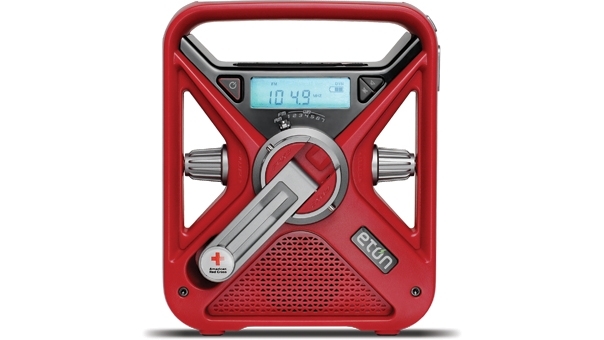 Please allow 2-3 weeks for your Public Media Member Perks activation code to arrive via email. These benefits are not available for purchase and no fair market value (FMV) will be deducted from any tax deductible portion of your donation. 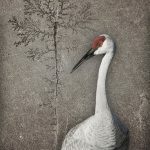 “Crane with Fossil Tree” by Diane Farris is the featured image for the 2018 anniversary poster. The 20″ x 28″ reproduction is accompanied by a set of corresponding note cards featuring a collection of four Diane Farris images. Click here to make your donation of $120 or $10 per month and request the anniversary poster. 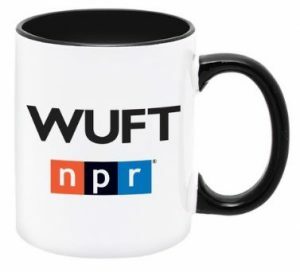 WUFT Logo Coffee Mug: Enjoy your coffee, tea, or chai in this attractive black and white 11 oz. stoneware mug. WUFT Sustainer T-Shirt: Show your sustainer pride in this white ringer tee with black trim. 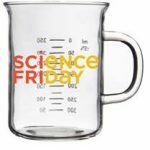 This 14 ounce Science Friday Beaker Mug is made of hand-blown temperature resistant borosilicate glass and features volume measurements on one side and proudly displays “Science Friday” on the other. 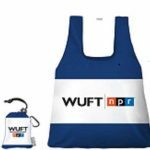 WUFT Reusable Tote Bag: Enjoy your next shopping excursion with this reusable bag in mazarine blue. The entire bag stuffs into a built-in pouch for convenient storage and comes with a carabiner clip. 25-pound carrying capacity. 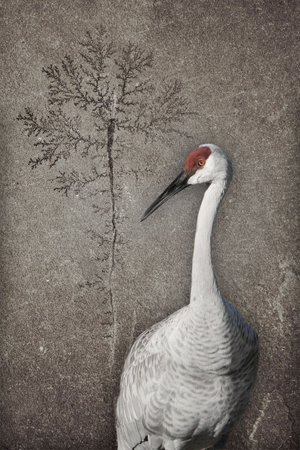 WUFT 2018 Anniversary Poster and a set of note cards: “Crane with Fossil Tree” by Diane Farris is the featured image for the 2018 anniversary poster. The 20″ x 28″ reproduction is accompanied by a set of corresponding note cards featuring a collection of four Diane Farris images. 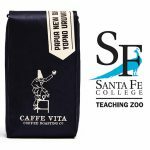 Café Vita Coffee: The Santa Fe Teaching Zoo is our community partner for this pledge drive. Your thank you gift will go one step further by also benefitting the Tree Kangaroo Conservation Program. 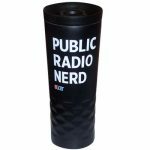 Public Radio Nerd Travel Mug: The Public Radio Nerd full color logo decorates one side of this 16.9 oz double wall 18/8 stainless steel thermal tumbler with copper vacuum insulation and threaded 360 drink-thru easy clean lid. 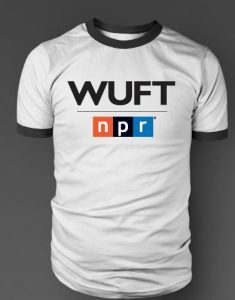 WUFT-FM Logo printed in white on the opposite side. 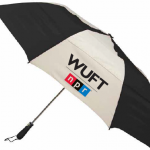 WUFT Umbrella: Golf style umbrella with alternating patterns of black and white, emblazoned with WUFT Florida’s logo. 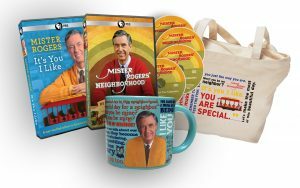 Mister Rogers Combo: This combo includes the Mister Rogers’ Neighborhood: It’s You I Like DVD, the Mister Rogers’ Neighborhood: It’s a Beautiful Day Collection 4-DVD set, the Mister Rogers Color Changing Sweater Mug, and the Exclusive Mister Rogers 12 oz Zippered Tote.